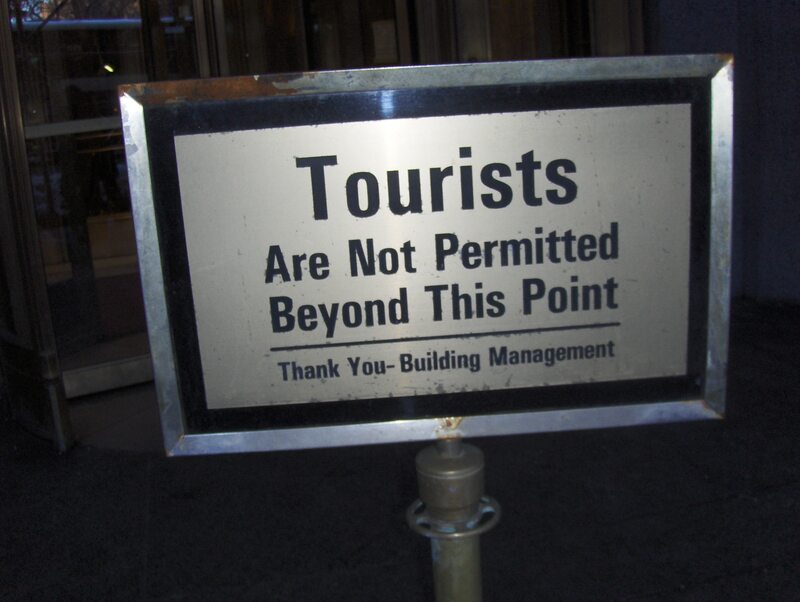 This sign was outside of the Woolworth Building. I walked by it on another bank errand. I thought it was rather amusing. About an hour after I returned from the bank errand, my boss called me into his office where he told me that I am very smart, and he should never of hired someone who had such a high GPA in college. He handed me a check for three weeks worth of pay, untaxed and asked me to leave. I told him that I wasn’t unhappy at the job, that I didn’t feel overqualified, that I wanted to stay. He said that I had done nothing wrong, but I was just too smart for the job. Dumbfounded, I headed home. Sure, the job was boring, but I need a job, and I don’t care that it’s boring. It was my 18th job in my seven years in the work world, but it was the first time that I have ever been fired. It felt horrible, and I still don’t understand why I was let go. There has to be another reason. Why on Earth would you fire somebody for being smart? The three weeks compensation was pretty generous though, and I figure that it gives me a couple of weeks to find something else. Travis brought home a six-pack of beer and a bag of Hershey’s kisses. I went out with some friends from the doctor’s office and they comforted me as well. Life isn’t so bad. I’ll find another job. I just hope this one is semi-normal.